Meet singles in New York! Start online dating with people in New York City today. 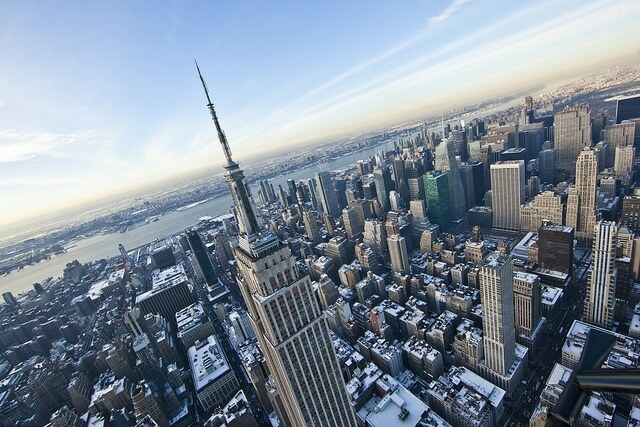 The most populated borough of New York and the heart of the city! You won’t be short for date ideas and opportunities here but we’ve listed some of the top picks from the city that never sleeps! New York caters for everyone, you can find moments of tranquillity and calm or bustling environments that are sure to set the tone for an adventurous date. New York is a lovers playground and it’s waiting for you! 843 acres of land make up the world-famous Central Park and it’s the ultimate place to take some time away from the commotion of city life. There are always events happening so take some time to plan your visit. 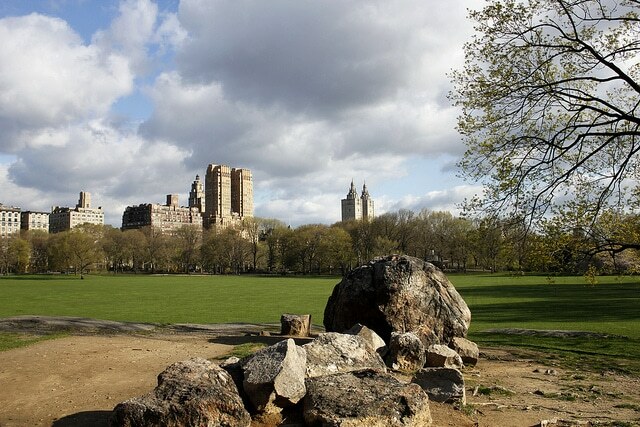 Perhaps just a relaxing stroll around the park will be suitable, in a city like New York it’s nice to take time out without planning anything extravagant. You can always take a picnic and find a quiet spot to enjoy getting to know your date without any distractions! Experience one of the most famous landmarks in the world! 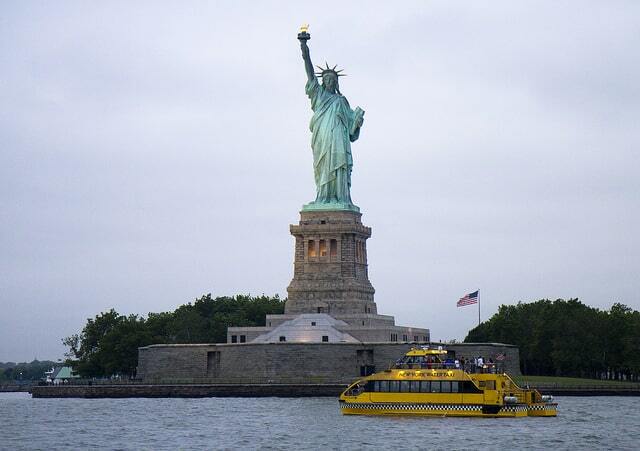 Sure to be a memorable date, you can jump on a ferry and be taken to Lady Liberty herself! Learn about the history and take some photos as you soak in the incredible view you’ll have of the city. If you want an extra special treat you can reserve tickets to the Statue of Liberty crown, these tickets are often booked months in advance so get planning! A date this well thought out will impress your partner no end and it will be a memory to hold onto for a long time! 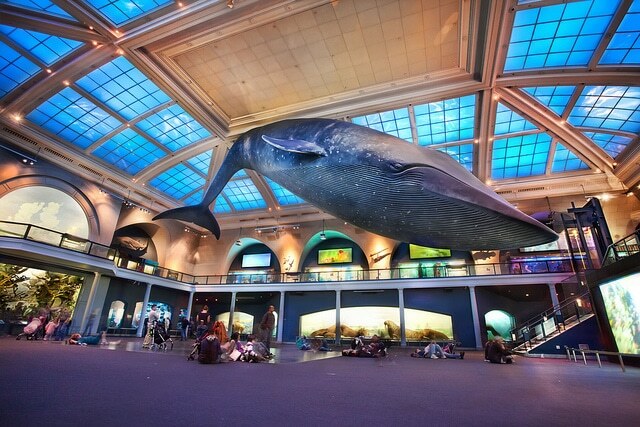 It’s best to set a whole day aside if you’re thinking of taking your date to this museum. The range of exhibitions and artefacts is staggering, you’ll learn so much from the life-sized animals and interactive features. The dinosaurs and underwater displays will leave you breathless! There’s food and drink available inside which makes for a perfect place to take a break halfway and discuss your newly found knowledge! This 102 story skyscraper in midtown Manhattan will make a date to remember, sometimes it’s easy to take the tourist spots for granted but by exploring the city sites you’ll discover some amazing places and a fun activity will always keep conversation interesting! Open 8-2am you can take in a breath-taking view of the city over sunset or sunrise, a perfectly romantic setting we think you’d agree. It’s a New York must see! This trendy penthouse bar will be a cool, sophisticated way to get to know your date. The penthouse rooftop sits on the 30th floor of the Kimberly Hotel. Signature cocktails and savoury plates are offered and the fairy-lit terrace and beautiful interior design will make for a stunning, romantic backdrop to your date. 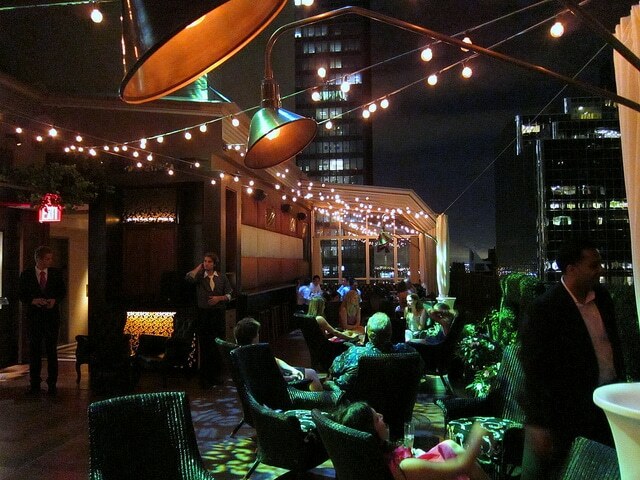 Share some stories over a few drinks and fall in love with the city from up high! If you’re in New York, odds are, good coffee is very important to you! Come and enjoy some quality baked goods and well-roasted coffee with your date. 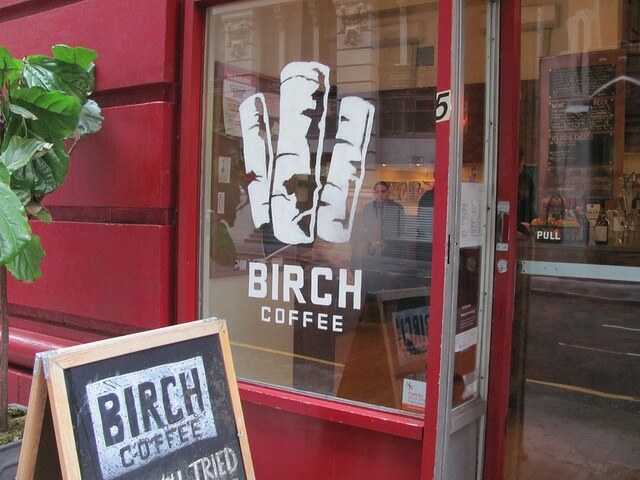 Birch is a fabulous place for a casual, laid-back arrangement all the while portraying subtle New York themes. The friendly staff will settle any nerves and make you both feel welcome! Birch is big on their books- pick up a new one, swap one with your date! Bond over your latest reads! Bookworms- this one for you! 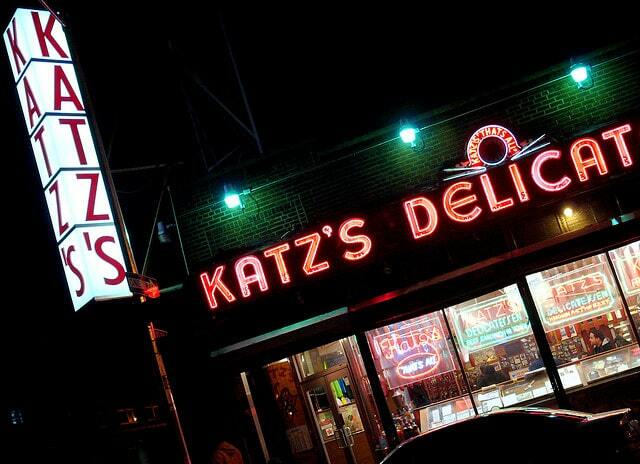 This iconic New York deli is a must, take your date here and enjoy some of the sandwiches, meats and platters. The atmosphere at the deli is always buzzing and the environment will make the both of you appreciate the city you are in! You can’t miss out on the pastrami sandwich, it’s famous across the whole of New York! The family-run business celebrates classic New York delicacies and you’ll be over the moon with your choice! 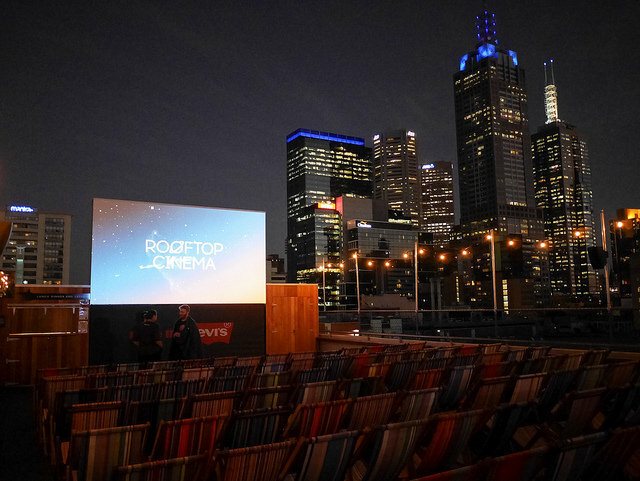 This rooftop cinema not only gives you incredible views of the city but also creates a spectacularly romantic date. Forget your boring movie theatre date, cinema is cool again and this unique twist on the classic date will earn you some serious brownie points! Relax yourself in a deck chair and share some popcorn. The huge screen shows old classics,indie films and childhood favourites that are sure to get you reminiscing! Screenings get booked up quickly so to avoid disappointment make sure you get your tickets in advance! A successful date can often be one that neither of you is expecting! Go against the grain and take your partner on a spontaneous date you won’t want to forget! 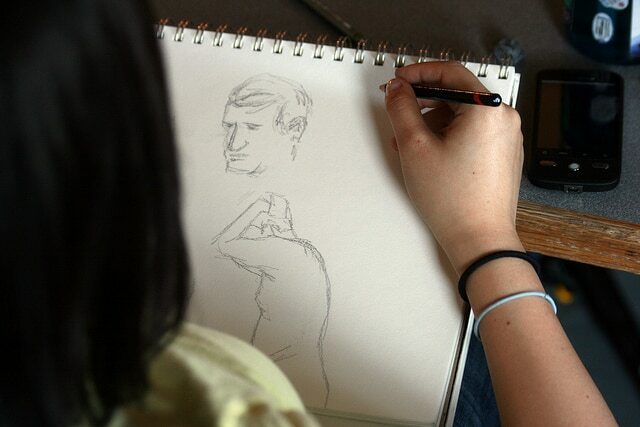 Figure drawing will be a brilliant way to break any awkwardness, express yourself by putting pen to paper, no matter what your skill level- it’s guaranteed you’ll have a fabulous time and you can swap drawings at the end, a perfect momento for an exciting date! 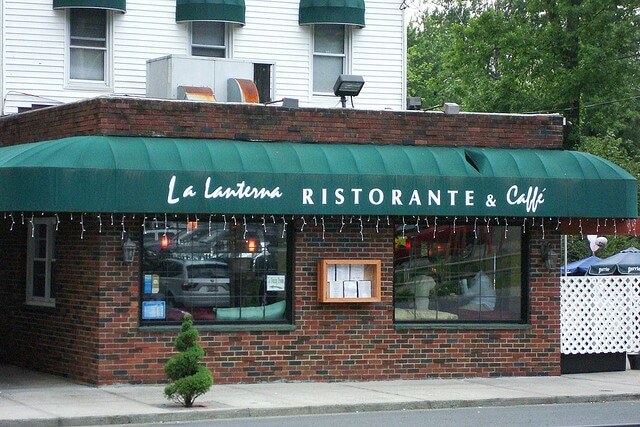 Hailed to be one the of the most romantic restaurants in New York, this tiny little corner offers the best, authentic Italian dishes and across two floors you’ll find intimate set tables with lanterns that set the mood to a perfect evening. During the cooler months you can find fire pits to keep you and your date warm. You’ll be delighted that the restaurant is a calmer space compared to the compact, busy restaurants you can find in New York.